Marlin 781. from the 70s I think. I have developed a like of old tube fed 22s. I like them older rifles.still shoots well by the looks. I love old 22's as well. At one point I had over 40 in my collection. 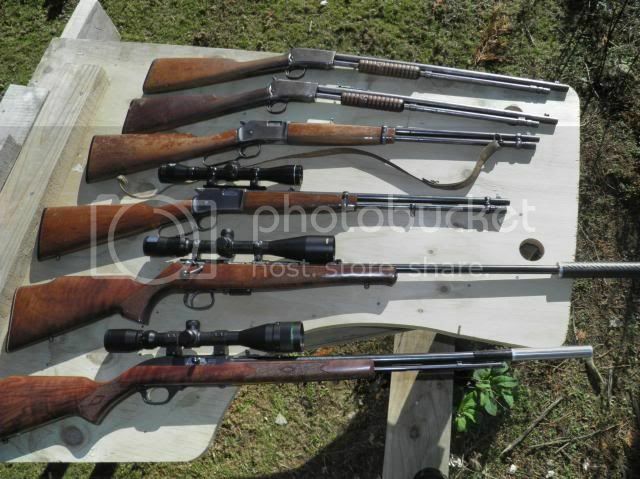 My favourite is a Remington 552 Speedmaster manufactured in 1956. Iv inherieted a few, one of the 1906 winchester pumps I learnt to shoot with, its to worn now, if yoy hold the trigger and work the action it runs like a semi. 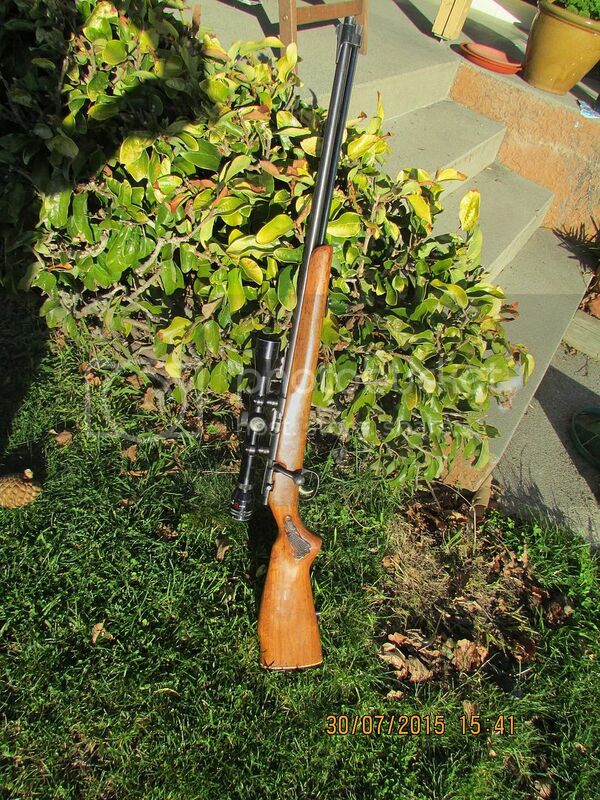 I much prefer wood blued rifles to todays plastic and chrome though I do have a couple of synthetics. I thought thats how those pumps were spost to run I learnt to shoot with one too. 285 bucks off trade me. 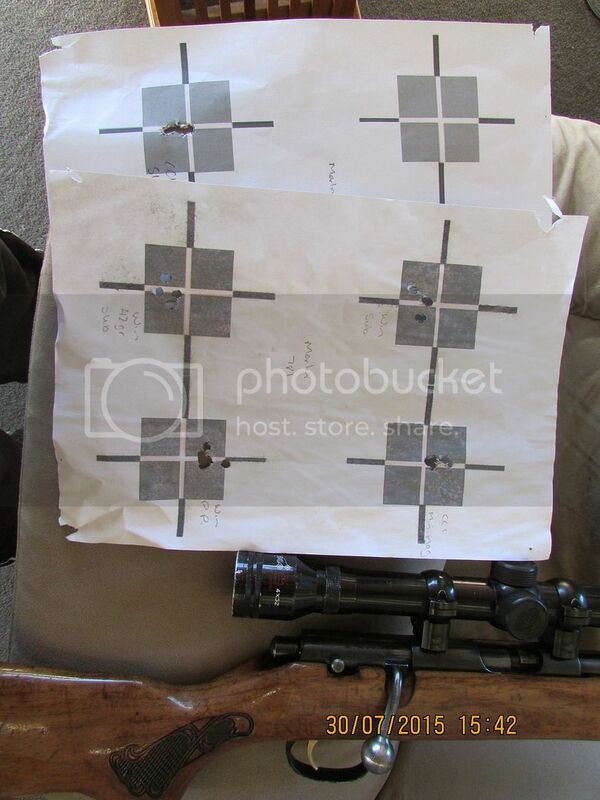 I thought it was a reasonable buy as I am pretty sure they are 400 new without scope or mounts. Has the girl gained a bit of confidence with her own rifle. cam? Scribe wrote: Has the girl gained a bit of confidence with her own rifle. cam? First go with it today scribe, still takes quite a while to get lined up on target but that will come with practice.